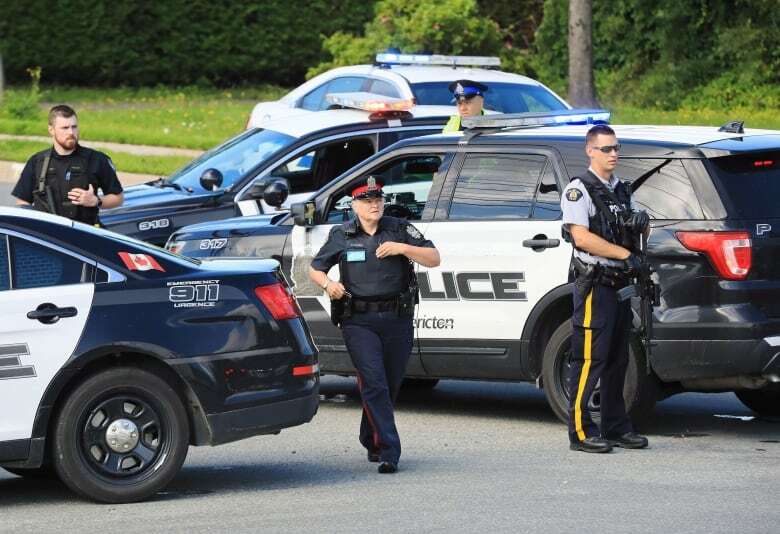 A spike in gun violence, including recent shootings in Fredericton and Toronto, has prompted police chiefs to take a closer look at gun violence trends and police tactics across the country. 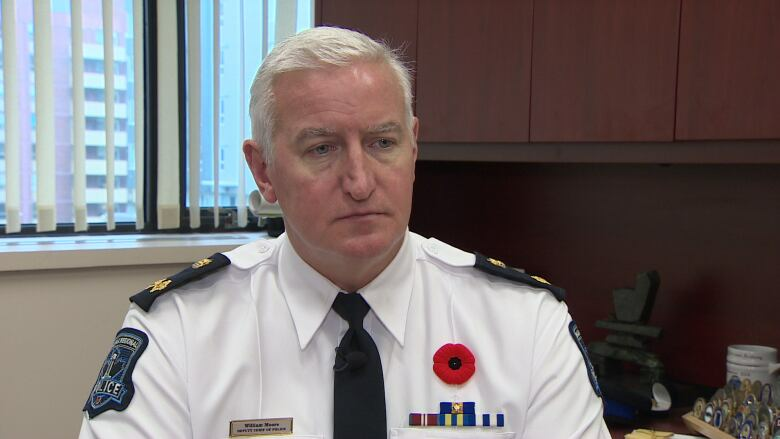 "There is no question there has been a spike in gun violence," said Bill Moore, executive director of the Canadian Association of Police Chiefs. The association, which was meeting in Halifax when four people were shot dead in Fredericton, has formed a committee to look at rising gun violence and various programs being developed to combat it. Moore said the spike includes the slaying of two police officers and two civilians in Fredericton just over a week ago and shootings on Toronto's Danforth Avenue that left two young people dead at the end of July. But of particular concern is the growth of lower-level street gangs, Moore said in an interview Tuesday with Information Morning Fredericton. "This really caused us, as an association, to really take a step back and just say, 'Are there different things we need to be looking at in relation to firearms and gun legislation and programing in the country," Moore said. 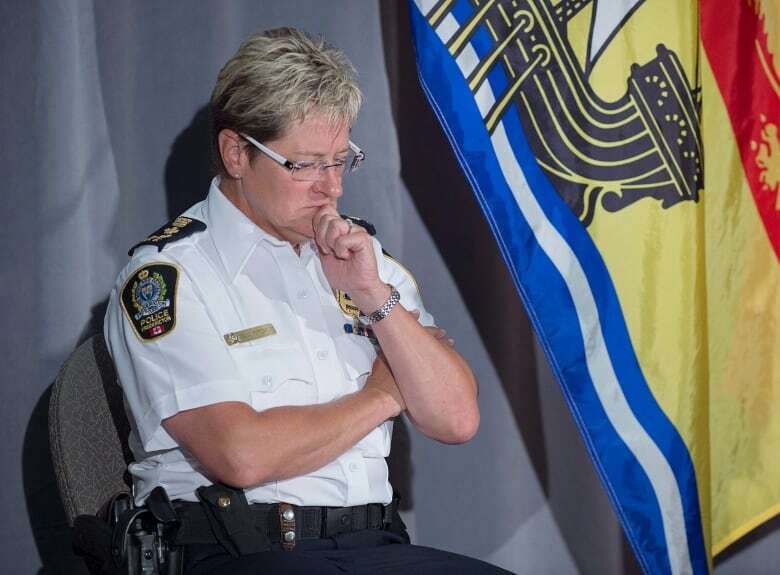 The former Halifax deputy police chief said the association will be collecting information across the country to see if there are any major trends pertaining to gun violence or whether there are more regional issues. For instance, major urban centres are focusing on the use of handguns. "There's a lot of really good work being done on an individual department level," he said. "But we want to bring that out and create a national discussion around that." Moore used the example of CeaseFire Halifax, a program that works with men between 16 and 24 who are at risk of being involved in gang violence. It works within their communities to build trust one-on-one and persuade clients there are alternatives to violence. The program is modelled after a similar organization in the U.S.
"I think this is a community issue that we need to understand," Moore said. "There are people in the community that know people are carrying guns." Moore applauded Canada' gun laws but also supported government's proposed Bill C-71, which is designed to strengthen existing gun laws. "This is not about a revolution, it's more about, 'Are there areas we can look at with a bit more focus,'" he said. But Moore also made it clear such changes would not be directed toward gun owners who use firearms in a legal fashion and the association does not want to over-regulate firearm users who are already law-abiding. Instead, he said the goal is to prevent the illegal possession and use of firearms. "The issue is most of the individuals that are causing this, they're not worried about restrictions," he said. "Most of these people are illegally in possession of firearms to begin with. "At the end of the day, if someone is prepared to use a firearm, they can go to great means to get one," he said.